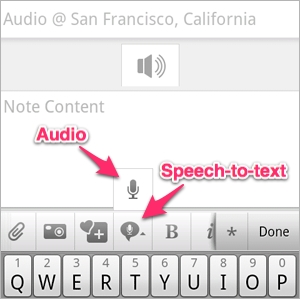 Evernote for Android gets speech-to-text | Android Blast! Evernote has updated their Android app to include speech-to-text for note taking. Using Google’s speech recognition, users now have the option to transcribe voice input into text notes. The new version of Evernote is available now in the Google Play store. Check out the link below for details.